500 Leeds fans had traveled to support their club in a game of football, 2 never returned, Chris Loftus and Kevin Speight. They were murdered the night before the game, stabbed in a night filled with violence when an armed mobbed launched an attack on Leeds fans who had been in Taksim Square. Within 72 hours, the Turkish police had made arrests and one, Ali Umit Demir was said to have made a confession while paraded before T.V cameras. The authorities said they would go for the maximum sentence of 30 years but later went back on this, saying they would go get between 9 and 15 years on the flimsy premise that they had been provoked by Leeds Utd fans. Those on trail were greeted with cries of "Turkey is proud of you" by supporters in the court. There followed a series of brief hearings that only added to the sense that justice was never going to be done, then they were released on bail pending the out come of the trail. The court, in a move that mirrored the response of Galatasaray, who tried to tar Loftus and Speight by calling them blacklisted hooligans, allowed a lawyer to search for evidence they were indeed hooligans, no evidence was ever found. There was also no evidence, apart from the words of the defendants, that Leeds fans had provoked them, nothing on video suggested this ever took place. In May 2002 Demir was jailed for 15 years but would be out in less than 2 months when a retrial was ordered, nobody else got more than a few months in jail for their part in the deaths. He was finally re-convicted in 2007 and there were also jail sentences for those who had slipped through the net the first time but yet again they were freed after beginning appeals and they are still free. That is the failure of the Turkish authorities and justice system, but the case also highlighted the failure of UEFA to act in light of the acts of violence. 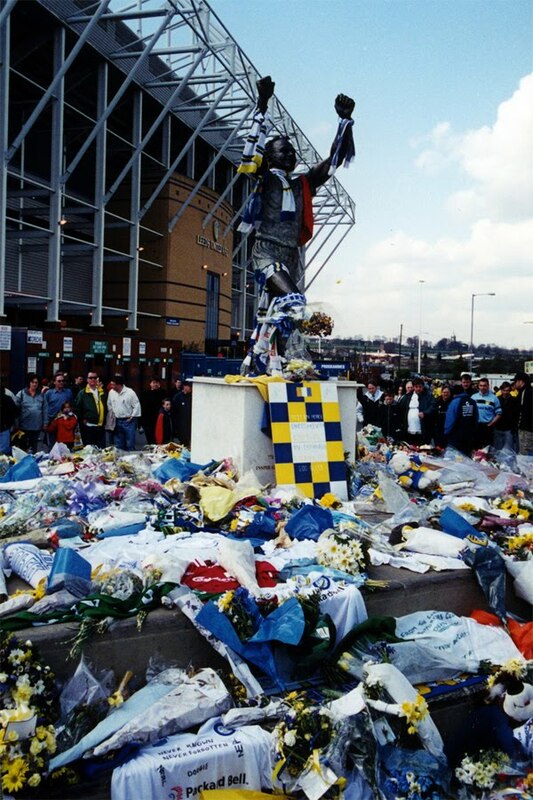 For the game the following night went ahead, against everybody involved with Leeds wishes. The Leeds players worn black arm bands but Galatasaray players did not. Leeds and their fans held their own private silence, with the fans turning their backs on the field in protest of the match going ahead, while the Turkish fans lived up to their reputation as the lowest of the low, with their welcome to hell banners and riot police need to protect both the Leeds fans and players. There was no official minute silence before a game that never should have gone ahead. To make matters worse, just 5 years later, UEFA awarded the biggest match in club football, the Champions League Final to Istanbul. Just 5 years after a group of Turkish fans had been responsible for the deaths of 2 English fans, Liverpool would play AC Milan. Instead of banning the club, just as they had done to English clubs after Heysel, they gave them the biggest game of all. Adding to the joke of a trial, this was the final insult. I think that English clubs and fans are getting a bad rep on the continent for no real reason, yes there was a reputation well deserved in the 80's. But now there is no real trouble, you always have a few people in every support but the majority are all peaceful. Now move to the continent in the last few years and they are all real proud of their hard line supporters from the Turkish maniacs who revel in the violence the indulge in. In Amsterdam the opposing supporters are brought in to a train station that is opened on game day and moved from the station via a tunnel straight into the ground. There is a 3 metre high fence with plastic covering and a 3 metre net from that section of the stand. This is because the police and the grounds accept that there will be trouble. And UEFA allow this to happen they do not seem interested in taking action, unless there is a disaster. However my thoughts are that UEFA is losing it's bite it seems to be all about who they know rather than what is best for the game and the fans. Great post looking forward to new posts from you guys.